You acknowledge that FOOD REVOLUTION NETWORK has the right but not the obligation to use and display any postings or contributions of any kind and that FOOD REVOLUTION NETWORK may elect to cease the use and display of any such materials (or any portion thereof), at any time for any reason whatsoever. If applicable, any opinions, advice, statements, services, offers, or other information or content expressed or made available by third parties, including information providers, are those of the respective authors or distributors, and not FOOD REVOLUTION NETWORK. Neither FOOD REVOLUTION NETWORK nor any third-party provider of information guarantees the accuracy, completeness, or usefulness of any content. Furthermore, FOOD REVOLUTION NETWORK neither endorses nor is responsible for the accuracy and reliability of any opinion, advice, or statement made on any of the Sites by anyone other than an authorized FOOD REVOLUTION NETWORK representative while acting in his/her official capacity. THE INFORMATION, PRODUCTS AND SERVICES OFFERED ON OR THROUGH THE SITE AND BY FOOD REVOLUTION NETWORK AND ANY THIRD-PARTY SITES ARE PROVIDED “AS IS” AND WITHOUT WARRANTIES OF ANY KIND EITHER EXPRESS OR IMPLIED. TO THE FULLEST EXTENT PERMISSIBLE PURSUANT TO APPLICABLE LAW, WE DISCLAIM ALL WARRANTIES, EXPRESS OR IMPLIED, INCLUDING, BUT NOT LIMITED TO, IMPLIED WARRANTIES OF MERCHANTABILITY AND FITNESS FOR A PARTICULAR PURPOSE. WE DO NOT WARRANT THAT THE SITE OR ANY OF ITS FUNCTIONS WILL BE UNINTERRUPTED OR ERROR-FREE, THAT DEFECTS WILL BE CORRECTED, OR THAT ANY PART OF THIS SITE, INCLUDING BULLETIN BOARDS, OR THE SERVERS THAT MAKE IT AVAILABLE, ARE FREE OF VIRUSES OR OTHER HARMFUL COMPONENTS. You agree at all times to defend, indemnify and hold harmless FOOD REVOLUTION NETWORK its affiliates, their successors, transferees, assignees and licensees and their respective parent and subsidiary companies, agents, associates, officers, directors, shareholders and employees of each from and against any and all claims, causes of action, damages, liabilities, costs and expenses, including legal fees and expenses, arising out of or related to your breach of any obligation, warranty, representation or covenant set forth herein. Your participation, correspondence or business dealings with any third party found on or through our Site, regarding payment and delivery of specific goods and services, and any other terms, conditions, representations or warranties associated with such dealings, are solely between you and such third party. You agree that FOOD REVOLUTION NETWORK shall not be responsible or liable for any loss, damage, or other matters of any sort incurred as the result of such dealings. FOOD REVOLUTION NETWORK may host message boards, chats and other public forums on its Sites. Any user failing to comply with the terms and conditions of this Agreement may be expelled from and refused continued access to, the message boards, chats or other public forums in the future. FOOD REVOLUTION NETWORK or its designated agents may remove or alter any user-created content at any time for any reason. Message boards, chats and other public forums are intended to serve as discussion centers for users and subscribers. 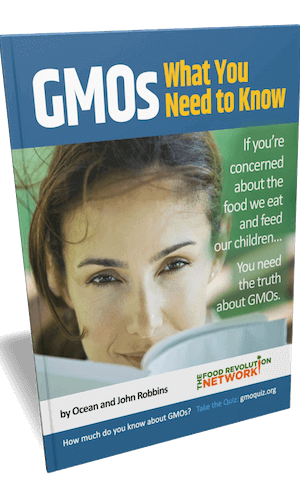 Information and content posted within these public forums may be provided by FOOD REVOLUTION NETWORK staff, FOOD REVOLUTION NETWORK’s outside contributors, or by users not connected with FOOD REVOLUTION NETWORK, some of whom may employ anonymous user names. FOOD REVOLUTION NETWORK expressly disclaims all responsibility and endorsement and makes no representation as to the validity of any opinion, advice, information or statement made or displayed in these forums by third parties, nor are we responsible for any errors or omissions in such postings, or for hyperlinks embedded in any messages. Under no circumstances will we, our affiliates, suppliers or agents be liable for any loss or damage caused by your reliance on information obtained through these forums. The opinions expressed in these forums are solely the opinions of the participants, and do not reflect the opinions of FOOD REVOLUTION NETWORK or any of its subsidiaries or affiliates. FOOD REVOLUTION NETWORK has no obligation whatsoever to monitor any of the content or postings on the message boards, chat rooms or other public forums on the Sites. However, you acknowledge and agree that we have the absolute right to monitor the same at our sole discretion. In addition, we reserve the right to alter, edit, refuse to post or remove any postings or content, in whole or in part, for any reason and to disclose such materials and the circumstances surrounding their transmission to any third party in order to satisfy any applicable law, regulation, legal process or governmental request and to protect ourselves, our clients, sponsors, users and visitors. YOU acknowledge and agrees that no representation has been made by FOOD REVOLUTION NETWORK OR ITS AFFILATES and relied upon as to the future income, expenses, sales VOlume or potential profitability that may be derived from the participation in ANY PROGRAM OF ANY KIND OFFERED BY FOOD REVOLUTION. 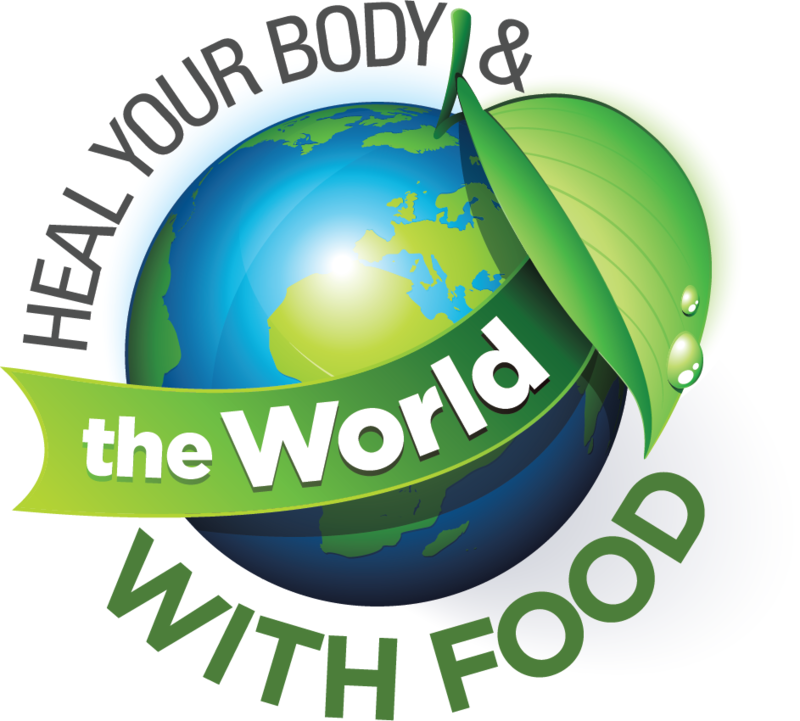 THIS SITE IS CONTINUALLY UNDER DEVELOPMENT AND FOOD REVOLUTION NETWORK MAKES NO WARRANTY OF ANY KIND, IMPLIED OR EXPRESS, AS TO ITS ACCURACY, COMPLETENESS OR APPROPRIATENESS FOR ANY PURPOSE. Unless otherwise stated, we offer full refunds for all digital product purchases made on the Foodrevolution.org website, within 30 days of date of purchase. If customers are not satisfied with a digital product purchase, they must contact us within 30 days by emailing to support@foodrevolution.org or ocean@gmosummit.org. Please put “Refund” in the subject and give us the email address you used with your purchase, for a full refund. If a hard copy product sold by Food Revolution Network arrives in damaged condition, please email us immediately at support@foodrevolution.org to notify us of the problem, so we can send you a replacement. If you are not satisfied with your purchase, we offer a 30 day return policy. Returned items must be returned in full, postmarked for return within 30 days of postmarked shipment to customer, and must include original packing slip, or return will not be valid. Upon return receipt, customers will receive a full refund on purchase price, minus seller shipping costs. Buyer is responsible for return shipment of all hard copy refunds. From time to time, FOOD REVOLUTION NETWORK may offer discount codes to be used on its websites. These offers are frequently disseminated through this website and/or emails to registered users. Special offers may also be posted on our home page, www.foodrevolution.org, or announced via other means of communication in conjunction with the promotion of the FOOD REVOLUTION NETWORK product collection, including radio and TV broadcasts, Internet forums, and various online mediums. We encourage our clients to redeem these special offers, but we respectfully ask that you do not exploit them. FOOD REVOLUTION NETWORK, at our sole discretion, will determine if all purchasing criteria has been met to qualify for stated discount or free product. If you successfully circumvent the software safeguards of our websites in order to receive multiple free products with your order, we reserve the right to remove any extraneous free product(s) from your order, or to cancel the order in its entirety. You will be informed of any order changes via the contact information listed with your order. The Digital Millennium Copyright Act of 1998 (the “DMCA”) provides recourse for copyright owners who believe that material appearing on the Internet infringes their rights under the U.S. copyright law. If you believe in good faith that materials hosted by FOOD REVOLUTION NETWORK infringe your copyright, you, or your agent may send to FOOD REVOLUTION NETWORK a notice requesting that the material be removed or access to it be blocked. Any notification by a copyright owner or a person authorized to act on its behalf that fails to comply with requirements of the DMCA shall not be considered sufficient notice and shall not be deemed to confer upon FOOD REVOLUTION NETWORK actual knowledge of facts or circumstances from which infringing material or acts are evident. If you believe in good faith that a notice of copyright infringement has been wrongly filed against you, the DMCA permits you to send to FOOD REVOLUTION NETWORK a counter-notice. All notices and counter notices must meet the then current statutory requirements imposed by the DMCA; see http://www.loc.gov/copyright for details. FOOD REVOLUTION NETWORK’s Copyright Agent for notice of claims of copyright infringement or counter notices can be reached as follows: Info@foodrevolution.org.